An attorney for the American Civil Liberties Union. A musician. A film director. A university professor. They were just some of the dreams jobs mentioned by CSUN students Sunday, Sept. 23, on a stage in Woodland Hills. CSUN is getting them closer to realizing those dreams. 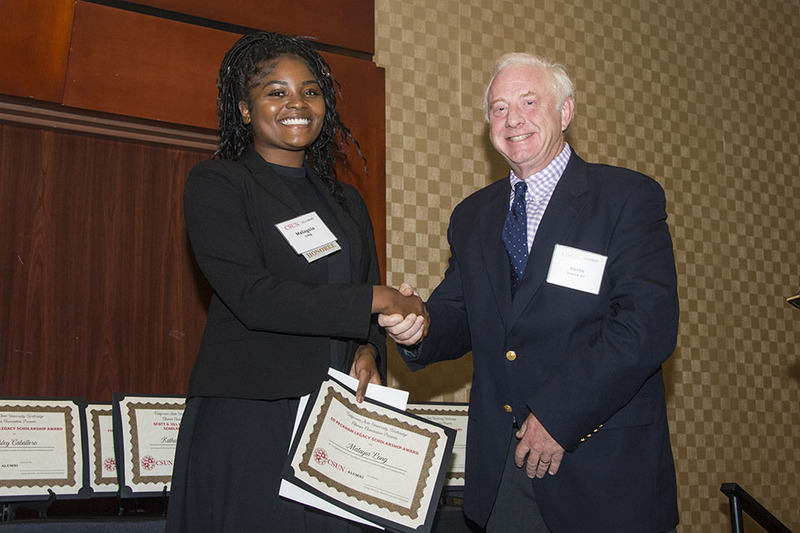 Fifteen students were honored at the annual CSUN Alumni Association Scholarship Luncheon and received scholarship awards of $2,000 each. 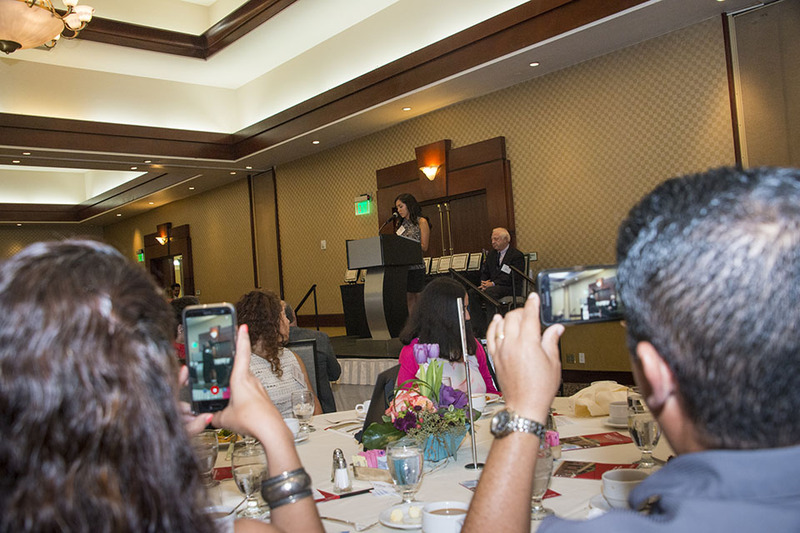 The scholarships were given in three categories — first-generation college students, legacy (children or grandchildren of CSUN alumni) and one to a graduate student continuing their education at CSUN. She is president of CSUN’s Geography Club, a teaching associate in the Department of Geography and an FAA-certified remote pilot. “She’s absolutely remarkable in how she has evolved as a person and a scholar. I see such big things for her future,” said CSUN geography professor Amalie Orme, a guest of Rose’s at the event. 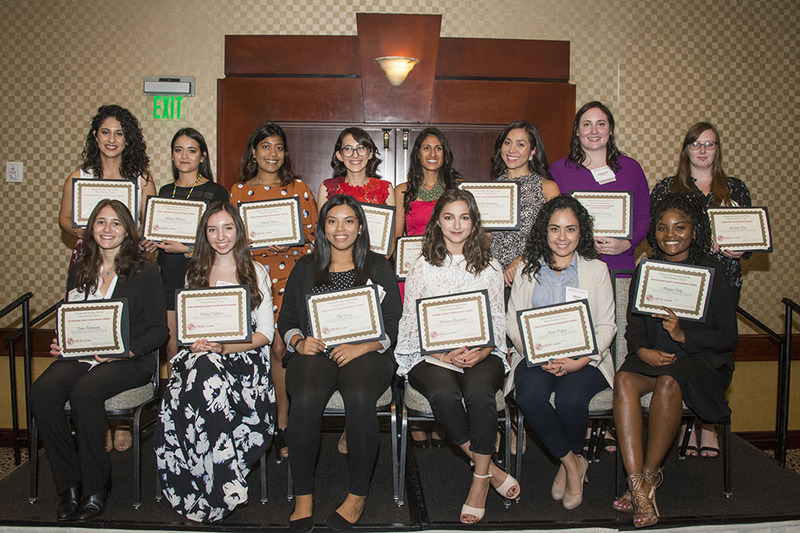 Presenters got teary-eyed as they stood on stage, listening to the stories of the scholarship recipients, who were often teary-eyed themselves as they told their stories to a packed room at the Hilton Woodland Hills. Students spoke of being raised by single parents or of being single parents themselves; of parents who sacrificed for the betterment of the family; of coming from low-income families; of starting their journeys in other countries. The students included Dreamers. They all told stories of achievement and how CSUN created “hope” for them. Some in the audience were moved by the recognition of the scholarship recipients. That was the case for Leo and Xochitl Hernandez, whose daughter, also named Xochitl — a junior music/vocal arts major, received a legacy scholarship. The Hernandez family represents three generations of Matadors. Xochitl’s maternal grandfather Armando Vazquez earned a bachelor’s degree from CSUN in 1973. He was a Chicano activist who marched alongside Cesar Chavez in the late 1960s. Leo and Xochitl Hernandez met while they were students at CSUN and each earned their degree and teaching credential from the university. The student Xochitl said receiving the scholarship means she doesn’t not have to rely as much on her parents, who are educators. It also added to her Matador pride.